Posted by Dave Emory ⋅ June 19, 2017Post a comment Email This Post Print This Post Tweet This! Introduction: With Watergate being bruited about by our media in conjunction with the “investigations” into Trump and “Russia-gate,” we are taking time to dig into the archives and recap information about one of the factors that underlay the Watergate scandal–the assassination of JFK. Leon Jaworski’s role as Koreagate Special Prosecutor, which permitted the eclipsing of the Moon organization’s links to the CIA. Jaworski’s role as one of two heads of the Texas Court of Inquiry, the body formed by the state of Texas in order to investigate the assassination. The role of the Unification Church–the Moon organization–in generating support for Nixon during Watergate. Jude Sarah Hughes’s involvement with a CIA domestic funding conduit. Hughes’s administration of the oath of office to LBJ on the plane flying back to Washington DC. 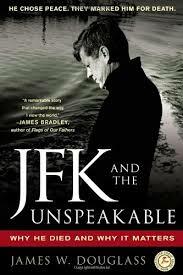 The fact that the suit by JFK researcher Harold Weisberg and attorney James Lesar sought information from the Warren Commission, part of the executive branch of government. That body was a Presidential fact-finding commission with no legal status whatsoever. Sirica’s ruling against the plaintiffs was a contravention of the Constitution. “Ex” CIA officer James McCord’s decisive role in both betraying the Watergate burglars and in seeing to it that the investigation would go forward. Frank Sturgis and his role (as Frank Fiorini) in running the Mob’s casinos in Cuba pre-Castro. Sturgis’s role in generating disinformation pointing toward Castro as the architect of the assassination. An article from a 1983 technology publication in which Gordon Novel discusses his ultra high-technology role “to erase the Watergate tapes.” This will be discussed at greater length in future programs. Watergate prosecutors had evidence that operatives for then-President Richard Nixon planned an assault on anti-war demonstrators in 1972, including potentially physically attacking Vietnam whistleblower Daniel Ellsberg, according to a never-before-published memo obtained by NBC News. The document, an 18-page 1973 investigative memorandum from the Watergate Special Prosecution Force, sheds new light on how prosecutors were investigating attempts at domestic political violence by Nixon aides, an extremely serious charge. NBC News is publishing the memo, and an accompanying memo about an interview prosecutors conducted with GOP operative Roger Stone, as part of special coverage for the 45th anniversary of the Watergate break-in. A plot to physically attack Ellsberg is notable because the former Pentagon official has long alleged that Nixon operatives did more than steal his medical files, the most well-known effort to discredit him. Nixon officials denied that account, however, and there were never any indictments related to the accusation. The memo, written on June 5, 1975, by Watergate special prosecutor Nick Akerman, provides some contemporaneous support for Ellsberg’s allegation that he was targeted. It states that “an extensive investigation” found evidence that Nixon operatives plotted an “assault on antiwar demonstrators” at a rally at the U.S. Capitol featuring Ellsberg and other anti-war “notables.” The anti-war demonstration occurred near a viewing of recently deceased FBI Director J. Edgar Hoover. An accompanying memo by Akerman summarizes his interview with Stone, who said he helped organize young Republicans to join the counter-demonstration but who had no apparent knowledge of the White House plot on Ellsberg. Akerman, appearing on Ari Melber’s MSNBC show “The Point” on Sunday night moments after the documents were revealed, said Ellsberg emerged unscathed that day. “They were unable to reach him for some reason,” Akerman told Melber, saying the reasons remained unclear. Prosecutors concluded that White House counsel Charles Colson had directed the operation, which Colson denied. Prosecutors initially responded to newspaper reports that Bernard Barker, a Cuba-born Watergate burglar, and a group of nine Miami associates “had engaged antiwar demonstrators in a fight” and that Colson was behind it. Stone, who also appeared on “The Point” Sunday night, insisted it was Henry Kissinger who had been riling up Nixon against Ellsberg — a point Akerman heatedly rejected. The conversation, captured on the Watergate tapes, continues as the talk turns to how the incident might ultimately be handled by Congressional investigators and the Watergate prosecutors. “Probably, [it] will get in some way logged into the grand jury business because of the money,” Haldeman says. While that possibility apparently concerned the White House, the document shows prosecutors never had quite enough evidence to build the plot against the antiwar protestors into their case against Nixon and his operatives. Yep, it was none other than Roger Stone who helped organized the young Republican ‘counter-demonstration’ that was supposed to result in Ellsberg’s beating. But Stone assures us he was just organizing the counter-demonstration of Cuban-American CIA ‘assets’ and had no idea about the planned violence and his political opponents…because, you know, that would have been so uncharacteristic of Stone. Kyle Chapman expected he might find a fight. And he did — with a teenage girl. The girl was waving an anti-fascist placard last week at a protest against Shariah law in Midtown Manhattan when a scuffle broke out and she knocked an older woman to the ground. As the founder of a group of right-wing vigilantes called the Fraternal Order of Alt-Knights, Mr. Chapman, a 6-foot-2, 240-pound commercial diver, is part of a growing movement that experts on political extremism say has injected a new element of violence into street demonstrations across the country. Part fight club, part Western-pride fraternity, the Alt-Knights and similar groups recruit battalions of mainly young white men for one-off confrontations with their ideological enemies — the black-clad left-wing militants who disrupted President Trump’s inauguration and have protested against the appearances of conservative speakers on college campuses. Along with like-minded groups like the the Proud Boys, a clan of young conservative nationalists, and the Oath Keepers, an organization of current and former law-enforcement officers and military veterans, they mobilized on social media to fight in New Orleans over the removal of Confederate monuments; on the streets of Berkeley, Calif., where clashes between the left and right have increasingly become a threat for law enforcement; and at a raucous May Day rally in Los Angeles. Both sides have issued a call to arms this weekend for an event being billed as a “Trump Free Speech Rally” in Portland, Ore., which is already on edge after a man was charged in the murder of two people who tried to intercede last week as he hurled anti-Islamic insults at two women on a train. “This is a war,” declared the Proud Boys’ founder, Gavin McInnes, in a column this week. Law enforcement has taken notice. At the protest last week at the City University of New York, which had been heavily promoted on social media, throngs of police officers lined the sidewalk before it began. In Portland, the police said they were mobilizing a robust presence because of what they have seen online. “It’s almost like a street fight, like a rumble, the way it’s being advertised,” said Sgt. Pete Simpson, a spokesman. Many in the movement, like Mr. Chapman and Mr. McInnes, say they are supporters of Mr. Trump’s agenda to tighten immigration and fight political correctness. While Mr. Trump has recently taken steps to denounce hate speech and violence, the proliferation of militant groups on both the left and the right is part of the new reality of political expression. Advocates who track extremism say the president, who egged on violent supporters during his campaign, has played a role in emboldening the groups. This form of aggression is something researchers say they have not seen on such a scale before on the far right, where the chosen method of provocation for groups like neo-Nazis and the Ku Klux Klan is to demand the use of public space for rallies where they can spew racist and offensive language that is nonetheless protected as free speech. “These are new people to us,” said Heidi Beirich, the Intelligence Project director for the Southern Poverty Law Center, which tracks extremist movements. “But saying, ‘We’re going to show up and we’re intending to get in fights,’ that’s a new thing,” Ms. Beirich said. Some groups like the Proud Boys have initiation rituals that include violent hazing and require an oath of fealty to Western culture. Their followers thrive on hyper-masculinity and celebrate when one of their brethren hits a leftist agitator. They mock Islam and purport to be soldiers against a “war on Whites,” while being mindful not to embrace overt white supremacy. Roger J. Stone Jr., a longtime associate of Mr. Trump’s, has taken the Proud Boy oath. The Alt-Knights were initially conceived as a paramilitary wing of the Proud Boys, designed to provide protection for audiences listening to conservative speakers like Ann Coulter and Milo Yiannopoulos,, whose public events have been canceled because of threats of violence. The groups openly post on Facebook and Twitter to spout Islamophobic and anti-immigrant speech, recruit new members and mobilize followers to go to demonstrations where violence might erupt, taking advantage of the porous standards that social media companies set for offensive and violent speech. So the Cuban-American CIA assets of yesteryear are replaced with contemporary hipster neo-Nazis and their less-hipster-ish neo-Nazi brethren. It’s just one more unpleasant contemporary echo with the Watergate era. One of many. Too many.